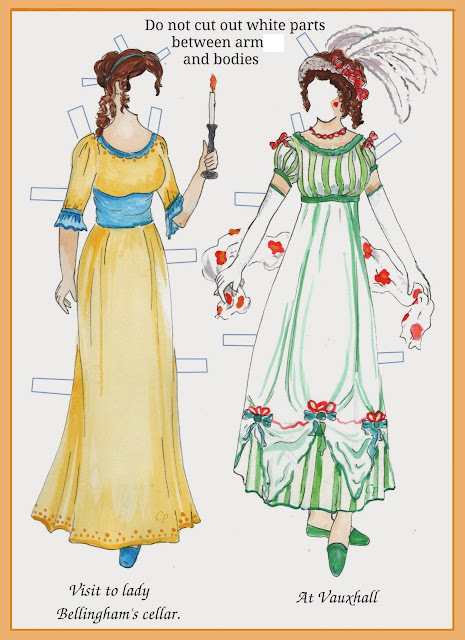 The Clothes in Books blog is featured in the Guardian books podcast this week, and is described by the books editor there as 'a delight'. The discussion covers fashion/lit issues, including Bret Easton Ellis, Waugh, Dickens and Mitford. The blog entries discussed in the podcast include those for Don’t Look Now, David Copperfield, Brideshead Revisited, Romance & Love in a Cold Climate, Cold Comfort Farm, and Rules of Civility. By children and tradesmen's bills. observations: Perfect description of the movement and staging of ballet, in so very few words – 'moving like seaweed' – and of the feeling that can come upon you while seeing great art. It doesn’t seem transient, but it is. The story of the marriage is too hopelessly sad: you have to tell yourself life doesn’t have to be like that. Reading it again I was astonished to find that it is the woman thinking about it in the last stanza, I had to double check that was right, as the poem has so very much been from the man’s point of view till then. Apparently the early years of MacNeice’s own first marriage were very happy – too happy, according to critics, and to some extent himself, he had nothing to write about – but his wife left him in 1935, and the usual poet’s trail of affairs and another marriage followed, giving rise to better poetry. The price you pay, life in a day. Their knickers are made of crepe-de-chine, their shoes are made of python. - one of those images we wish we could find and bring to you, it’s on our list of ones that got away. Les Sylphides is the non-ballet-goers idea of a ballet: no real story, a lot of young women in long white skirts moving gracefully round the stage, just the one male dancer, a romantic reverie, to music by Chopin. 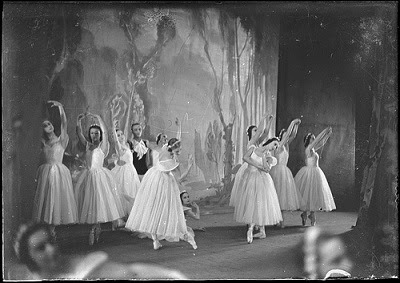 The picture is from a performance of Les Sylphides by the Ballet Russe touring Australia in the late 1930s. Moira - What an evocative description of the ballet! What a talent with words! Such a sad story of the end of a marriage, too. I've always admired the ability of skilled poets to create mood like that. I know - it is a magic ability isn't it. Achieved in a dfferent way from novel-writers, I'm sure someone could explain the difference. I'm behind on all my blg commenting. Just to say congratulations on the Guardian podcast! Thanks so much, Sarah, very kind. And dressed by Schiaparelli, with a pillbox hat." Oh thank you, they're both lovely. Time to read more of his work I think. Ken Bruen wrote a book which I've read but can't remember.....Her Last Call To Louise MacNeice. I was never troubled enough to dig deeper and find out more though.